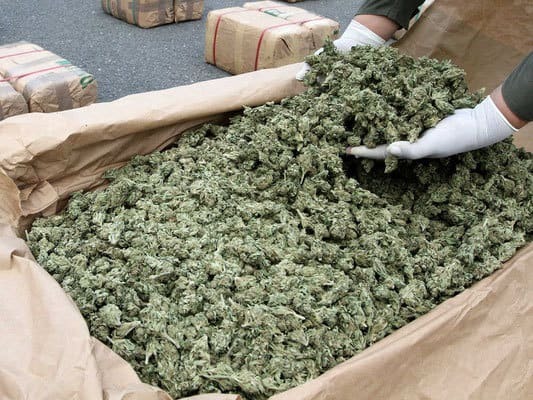 When you are involved with Cannabis growing and sharing, you will at some point during you career come across the question of how long your Cannabis will actually last in storage and how to store cannabis properly. The answer to this question depends greatly on the methods you use to store your stock. Especially when your health depends on the quality of Cannabis you use, this is very important. 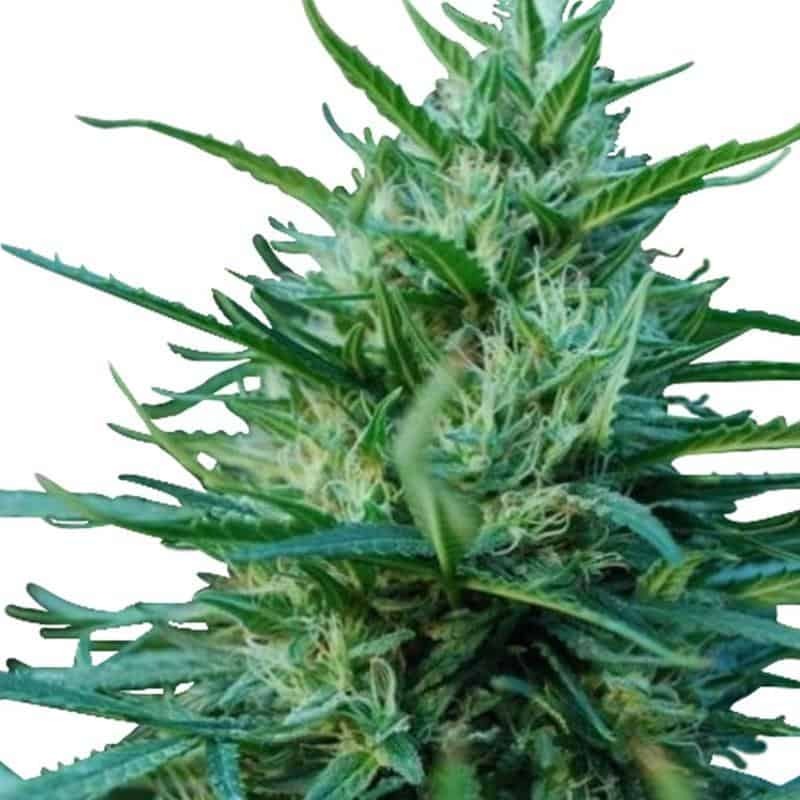 For example: you cannot afford to have mildew or mold in your Medical Marijuana, since the mildew or mold may actually aggravate the symptoms of whichever disease or condition you are treating by using the Cannabis. 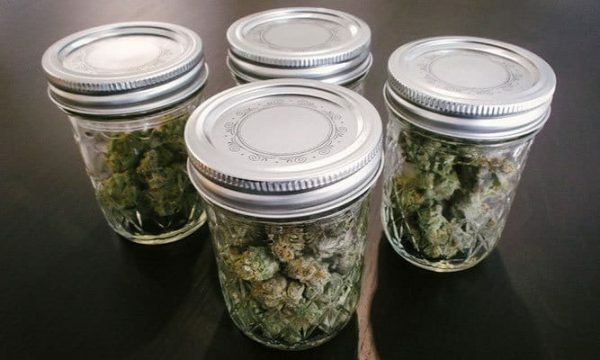 There are several effective storage methods that can preserve the effectiveness and prolong the shelf life of Cannabis. First of all, you have to ensure that your Cannabis is stored in a cool, dark and dry place. While there is no real date of expiry, the quality, efficacy and longevity of your product will always be better when you adhere to thjs rule. Always bear in mind that the dryer the Marijuana, the more desirable for you as a personal user. 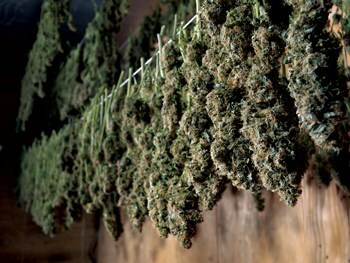 While (for various reasons such as the fact that moist content renders a heavier product that weighs more and can therefore be sold for more) there is a tendency on the “Black Market” to sell Marijuana that is slightly moist, this can be risky due to the fact that mildew and other molds can infest the produce, which will render it useless. Also bear in mind that these infestations thrive at a higher temperature (approximately between 77° and 86° F) and that it therefore makes sense to store your crops below 77° F.
Humidity is as important as temperature. In order to enhance conditions to the effect that formation of mildew and mold is discouraged, it is the general belief that humidity should be kept at between 59% and 63% RH. This also generally improves and maintains color, aroma, consistency and flavor. 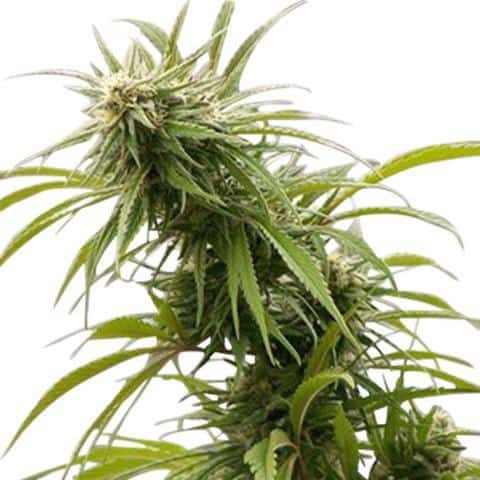 In recent years, partly to confuse the smelling sense of drug detecting dogs, smuggled marijuana has been transported in all kinds of foul smelling substances such as engine oil, marine bilge water, sewage tanks and the like, which is a great incentive to grow your own Cannabis. 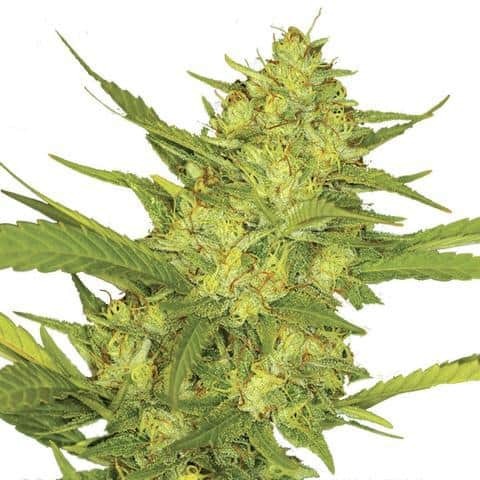 Packaging for commercial Cannabis is selected to suit those who will be supplying the street markets, and these people don’t consider the end user’s health or needs. 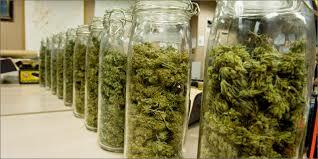 You will therefore do yourself a great favor to produce your own Marijuana and store it in more ideal conditions. 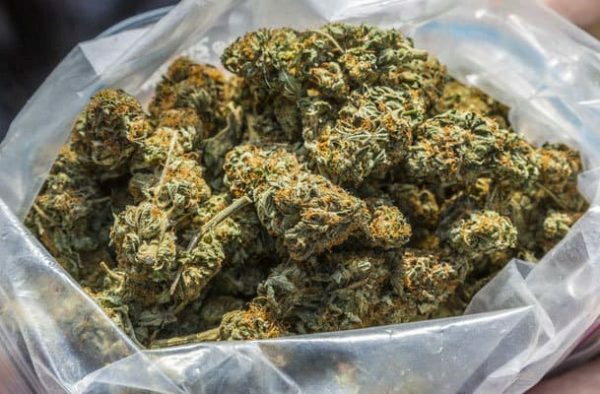 If Marijuana is still illegal where you live, then it may be risky to prepack your stock in little packages that are ready to sell. Should a cop happen to stumble upon it, they would immediately suspect you of smuggling, since they automatically see these little “prepacks” as evidence that you may be a drug dealer, because according to them only drug dealers will pack their stock in little “ready-to-sell” packets. 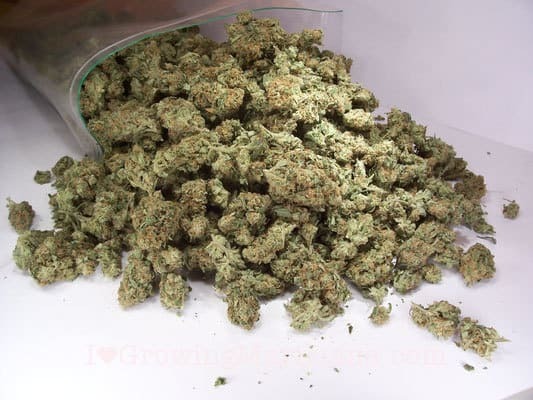 Fact of the matter is that to a grower it does not make good sense to keep their Marijuana in bulk packages, since there may just be a chance that one bud may have escaped the drying process, attract some mold and contaminate the entire batch. It is therefore imperative that you divide your stock into smaller units away from each other. This will also be an advantage when one nosey person accidentally discovers one small unit of your stash. The rest of your harvest will still be safely stashed away. A great idea is to place little absorbing silica-gel packets (obtained from the containers of products (electronics, foods, medicines and other products that normally include them) with your dried Marijuana into your packets. You can use little zipper-top bags and squeeze out as much air as possible before sealing them. Another great method is to use glass jars with screw tops, and also include the little absorbing silica-gel packets. 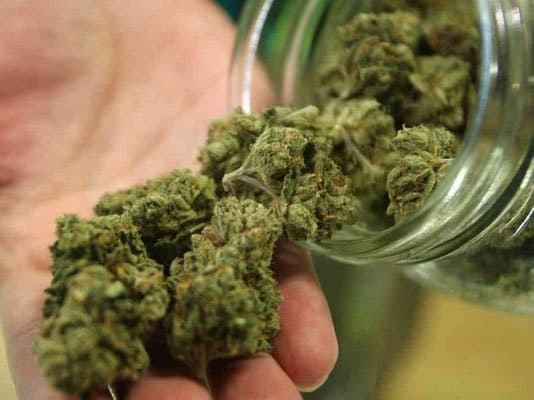 If Marijuana is still illegal where you live, it is a great idea to pack your stash into small bags that contain less than an ounce each and then store these little bags in a glass jar with one or two extra of the silica packets. Remember that products that contain Cannabis, such as chews or cookies, will have an entire different set of rules for proper storage. Follow the guidelines on the packets, and preferably do not store these products for longer than 12 months. Due to a lower content of organic matter, alcohol tinctures and other Cannabis concentrates are usually not as susceptible to mildew, mold and other contaminants as edibles are. However, in order to protect potency and minimize possible contamination, it is always a good idea, and we always recommend that you follow the basic guidelines on any packet that contains Marijuana or substances that are derived from Marijuana. 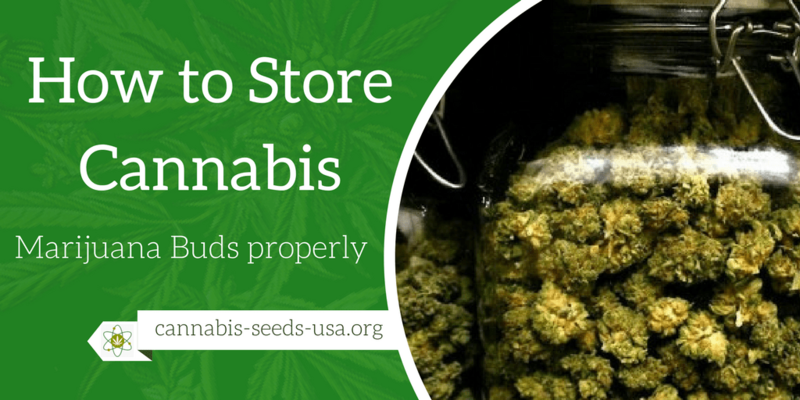 -Always be on the lookout for newly developed and effective methods for storing your Cannabis. The Cannabis industry is growing fast, and it makes sense to avoid stagnating. New products and equipment enters the market every day, and companies like Cannador and The Bureau expand continually, designing solutions for your Cannabis storage needs. Avoid storing grinders, pipes, etc. with your Cannabis. The smell of ash and resin from burnt Cannabis linger and will spoil the aroma of your stored Cannabis. Hopefully you have learned something new by reading this article. For any questions, don’t hesitate to contact us.